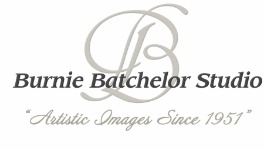 By Burnie Batchelor Studio Inc. It's time for Burnie Batchelor Studio's "The Diaper Train" Donation Event! For the past few years, we have had a Black and White Head-Shot Special which benefits the "The Diaper Train"of Raleigh. This year our Event is February 6-15, 2017. Each client should bring a case containing at least 60 diapers of size 3 or 4. You will receive a FREE Portrait Session valued at $135 for your donation. We will collect all of the donations and deliver them to "The Diaper Train" at the conclusion of our event. We look forward to sharing this exciting opportunity with you to help families in Wake County and surrounding areas. Give us a call, 919-833-7527 or email us joy@burniebatchelorstudio.com for an appointment. Thank you so much and HAPPY NEW YEAR!